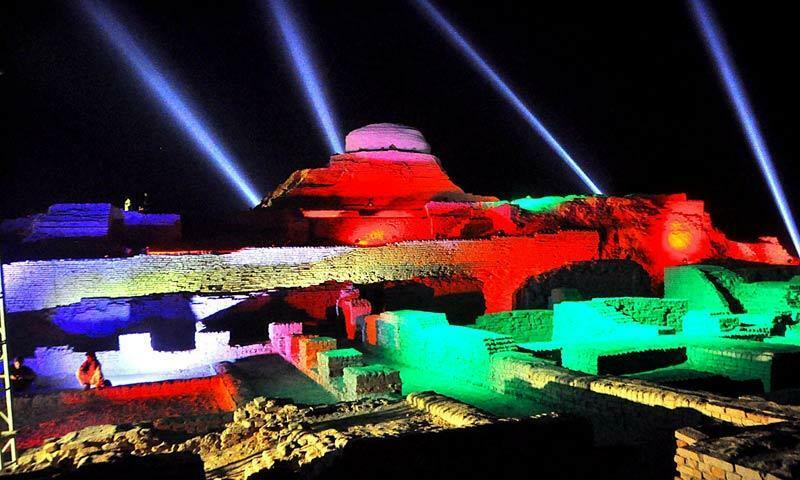 MOHENJODARO: An inaugural festival, aimed at commemorating the cultural heritage of Sindh, has started at the ancient city of Moenjodaro on Saturday. Earlier on, hundreds of people arrived at the heritage site to participate in the festival. 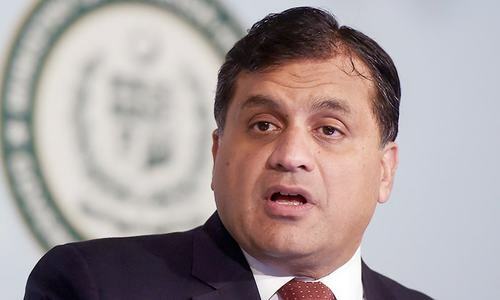 “This evening, the entire world will be sent a message that we are capable of taking care of our own heritage,” said Saqib Ahmed Soomro, secretary of the Sindh government’s Culture Department. 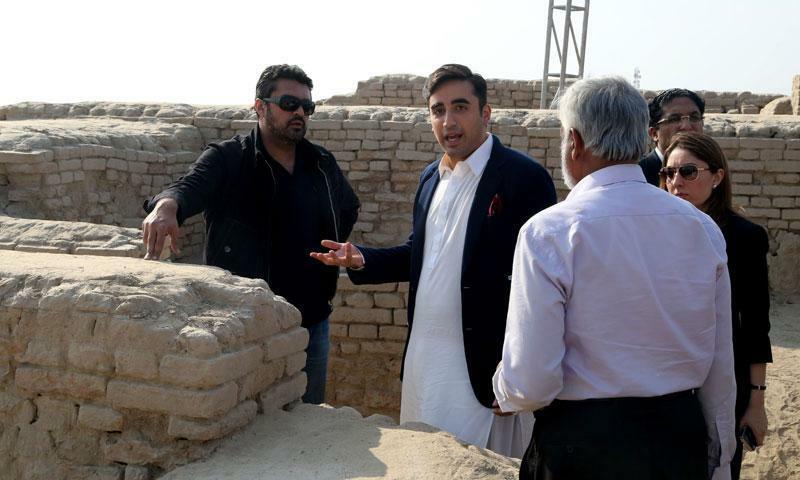 Bilawal Bhutto-Zardari, the patron-in-chief of the ruling party in Sindh, the Pakistan People’s Party (PPP), is organising Saturday night's event at Moenjodaro, where one of the largest settlements of the Indus Valley civilisation existed almost five thousand years ago. Bilawal, clad in a black jacket over an off-white traditional Pakistani shalwar qameez dress, arrived Saturday in a caravan of four vehicles along with his sister Bakhtawar Bhutto-Zardari. A number of foreign visitors, some wearing traditional Sindhi Ajrak outfits, were also among the guests. Performers queued up to pass through security gates, with an equally large number of Pakistan People’s Party (PPP) top leaders also waiting for entry. 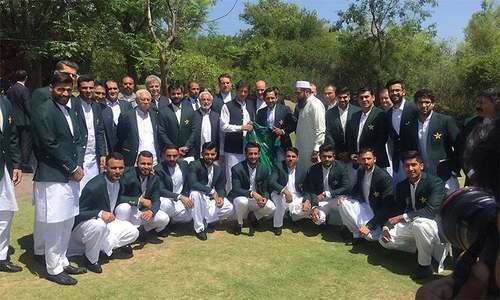 The ceremony was being attended by former prime ministers Yousuf Raza Gilani and Raja Pervez Ashraf, several lawmakers and diplomats, as well as members of foreign media organisations, among others. 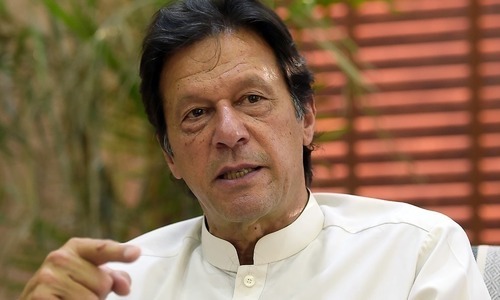 Organisers said there were seating arrangements for 500 people at the invite-only strictly-guarded event near Larkana, some 400 kilometers north of Karachi. 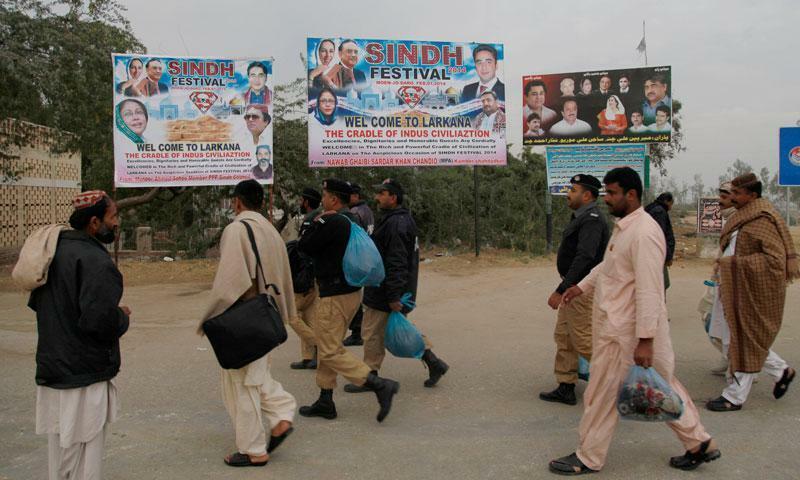 “Strict security arrangements have been put in place with over six thousand security personnel performing security duties,” said Iqbal Mehmood, the additional inspector-general of Sindh Police. 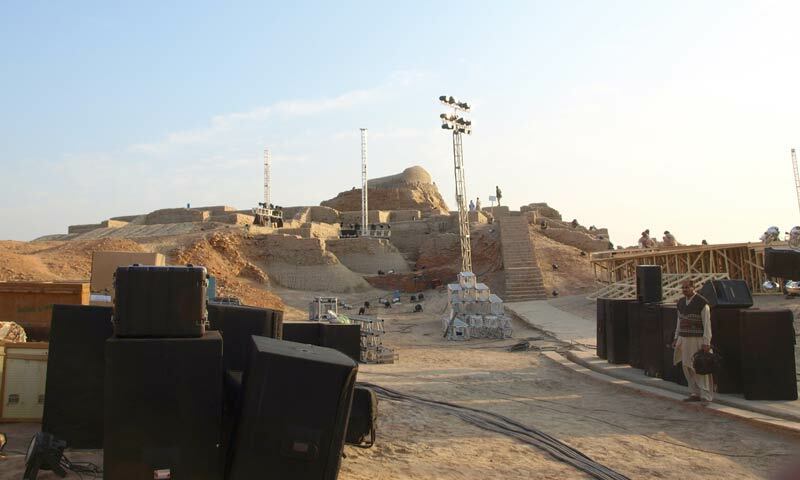 The festival drew controversy when archaeologists said they fear the stage and other event infrastructure could damage the delicate mud ruins at the Unesco World Heritage site known as the world’s oldest planned urban landscape built around 2600 BCE. 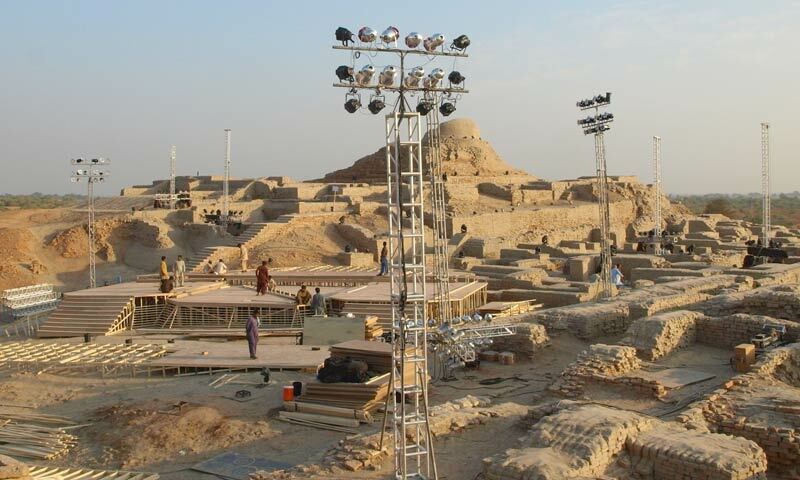 The provincial government claims that the work on the event infrastructure has been undertaken by archaeological experts and has ensured that no harm comes to the archaeological site. “We have done all the work very much to international conservation standards,” said Saqib Soomro. The Sindh High Court on Thursday ordered the provincial culture department to ensure no harm comes to Moenjodaro’s archaeological treasures. 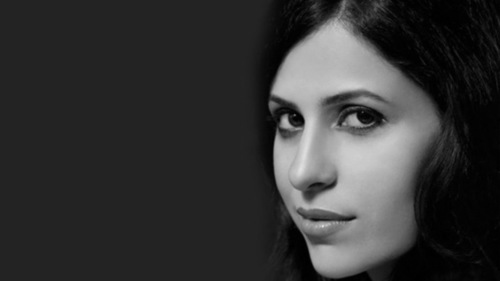 “It is nothing but insanity,” said archaeologist Asma Ibrahim, who is a member of the Management Board for Antiquities and Physical Heritage of the Sindh government. She says the stage and sound and light show could damage walls. 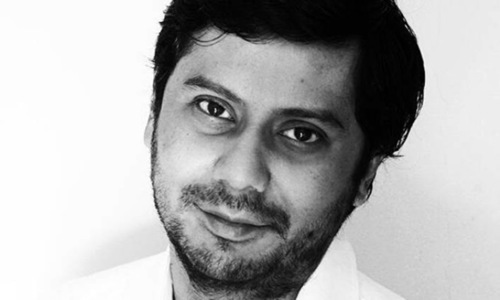 Farzand Masih, another senior archaeologist who heads the University of Punjab's archaeology department, said he was not attending the festival in protest. 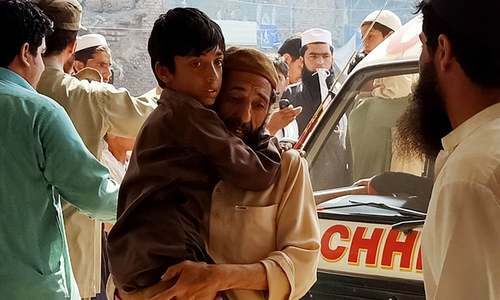 One of the guests, Anwar Baluch, 20, said he saw the ruins first time. 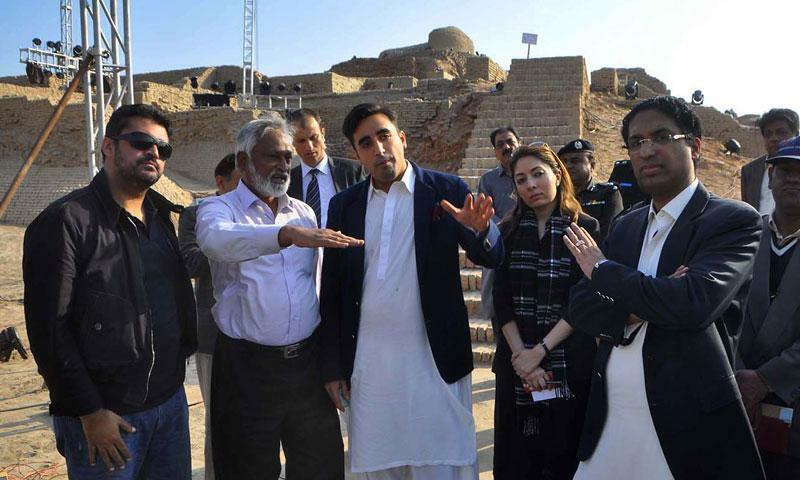 “It is a memorable visit as I had not seen Mohenjodaro earlier,” he said. 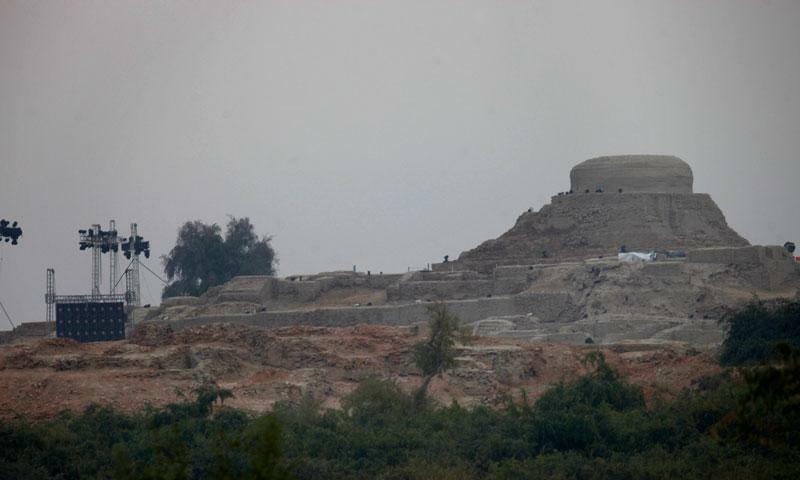 Moenjodaro, meaning Mound of the Dead, is on UNESCO's list of world heritage sites. Excavations since 1922 have uncovered only one-third of the site, the organization's website says. A UNESCO campaign ending in 1997 raised money to protect the site from flooding and to control the ground-water table. 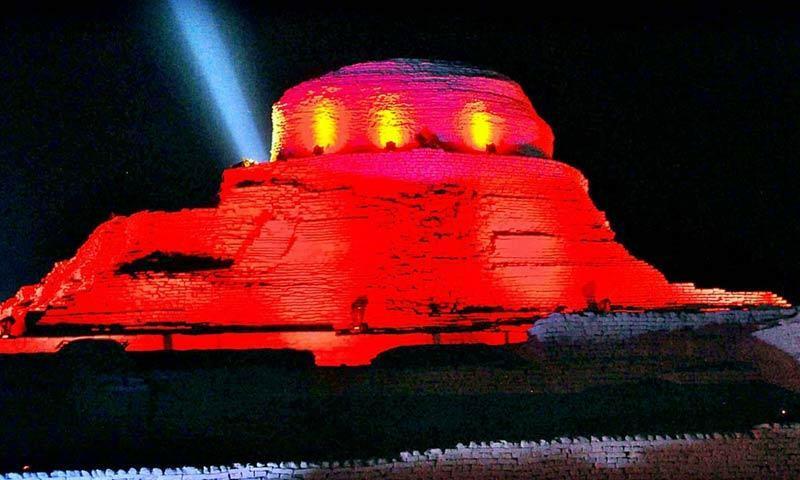 Following the opening ceremony at Moenjodaro, the 15-day event will continue from Sunday, February 2 at the Bagh Ibn-e-Qasim Park, Karachi, and will end on February 8. Shame how such an important historical place has got in hands of kids like Bilawal. Stop playing with this, these are not your toys. The irony , speeches will be done about the culture and at the same the heritage site of Moenjedaro which is already very fragile will be turned upside down by the trodding feet of the thousands of participants and platforms. The right word - Mohenjodaro - is written in all the news report however in headline written wrongly. Keep it up Bilawal Bhutto Zardari ! At some point Balawal and siblings will also dhamal; and PTV will be repeating the success of the event on and on and on. Some cultural presentation! Couldn't it be the start of the unity and harmony by having cultures of Pakistan instead of culture of Sind? Sindh culture ???? I thought it must read as indian Culture..
For God's sake stop this so called Sindh Cultural Festival from happening at such a historical site which would damage the historic site beyond repair by the illiterate masses who would come to attend this "jahelana" festival aimed at damaging the historic site. This is insanity at it's peak. Like mother like son I would say. His mother and father totally ruined Pakistan and now this fellow Mr Bilawal who I thought would not do some thing so foolish is the master mind behind this nonsense festival. Stop him and anybody coming there to ruin the site. If any educated person in the Government is listening to me then please for God's sake stop him and others from this stupidest act of the century with an iron fist. People should get out of their houses and not allow this to happen. I just can't believe that this is really happening in this date and age. Pakistan would be a failed state if this happens. Stop it stop it stop it. Would BBZ do something to improve living conditions of his subjects? They continue to live in abject poverty and high illetracy despite decades of rule by PPP! Congratulations from Indian brother to Pakistani, after long time there is some thing to feal good and excite about your country. At last, there are people in pakistan, who recognise that there was something in their history for which they can feal proud off, a history before abrahimic religion. Once again congrats. 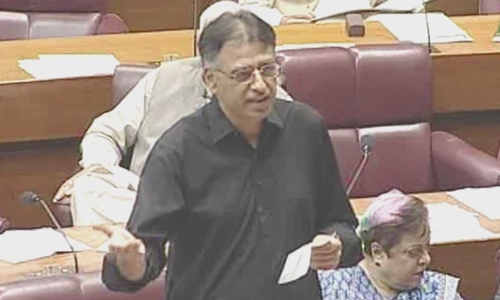 BY causing permanent damage to the fragile moenjodaro site at the expense of Pakistani people. Well done PPP, you are headed for total disaster under your out of touch leader. Appreciated but they should take care that no damage should be done to the place. They don't realize that even the loud sound from their blaring loudspeakers is damaging the stones and bricks of the ancient site. Only persons of little intelligence but huge egos can indulge in such antics. And for what? A few picturesThey could have given just half of their ill-gotten funds for the preservation efforts of the Archaeological department. Read about festivals/events at historic sites all over the world, or think about any that you have attended, or attend some. Think about some of the famous cities of the world. You might find that some of them are famous because of their rich culture, archaeological sites and hospitality. Then, share your views. You might change your mind. 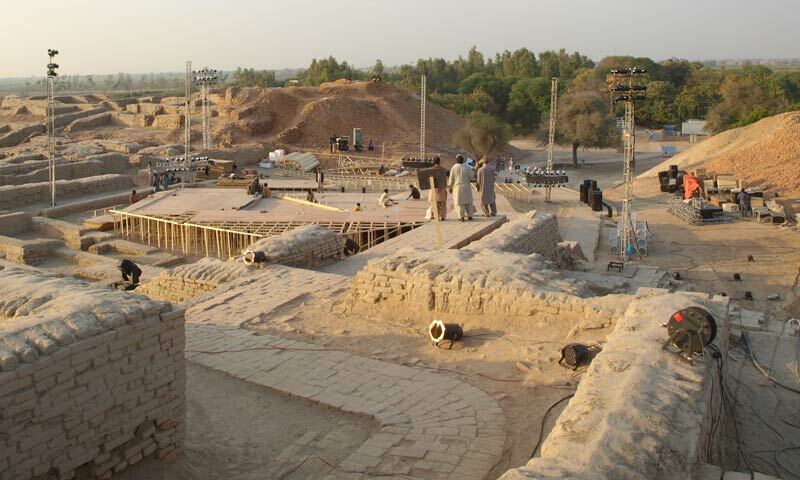 An inaugural festival, aimed at commemorating the cultural heritage of Sindh, has started at the ancient city of Moenjodaro on Saturday, a well-planned civilsation that dates back to 5,000 years (along with Harrapa in South Punjab) excavated in 1922 by the British. But, in political terms, this is also a great way to introduce and provide a launchpad for Bilawal Bhutto's political career and stake a claim for the future leadership of Pakistan by another Bhutto (a bit young and politically-naive at present), but we hope that this festival will not damage the ruins as several archaeologists have refused to attend the festival in protests and also protest-rallies taken out by local Sindhi people. Good no, we can celebrate Hindu culure. 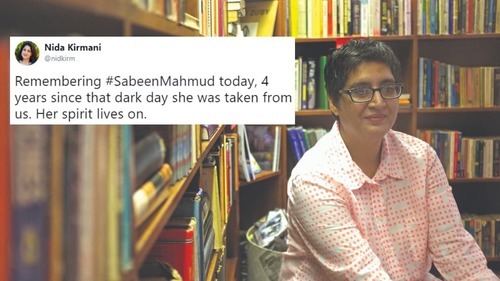 Why we created Pakistan after all those sacrifices if we had to do this?